Registration opens April 1 at 12:00 PM! The Ladiesfest 8K run is an event designed to promote women's health, fitness and well being in the community. The run allows women to challenge themselves by walking, jogging or running the 8k course. After the run, participants will be treated to orange juice, chocolates from Bernard Callebaut and fresh flowers from Marquis Flowers. 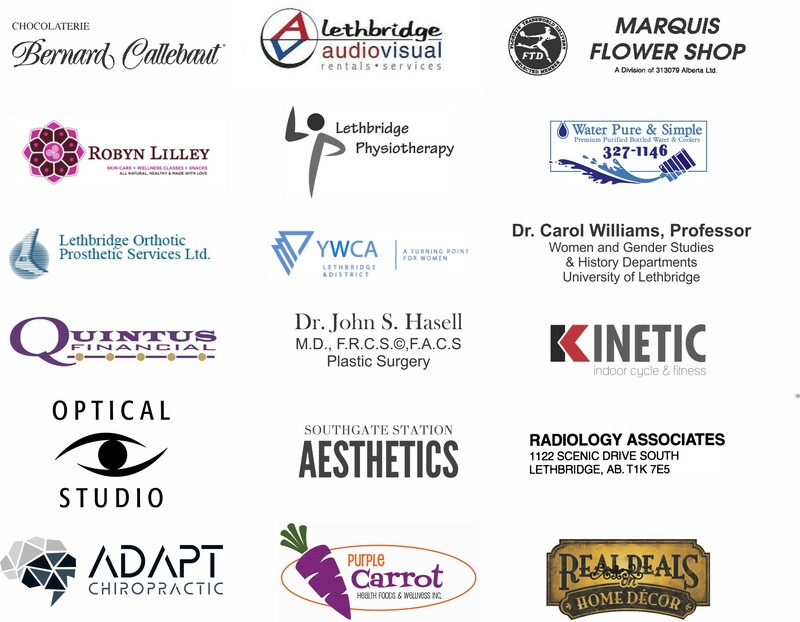 A brunch will follow in the Lethbridge Lodge Ballrooms where sponsors will have exhibits displaying their products and providing information. Awards will follow the Brunch. Results for 2017 can be found here! The run will start at 8:00 AM SHARP and finish adjacent to the Lethbridge Lodge. Participants will follow the clearly marked route down to the river bottom where they will enjoy the scenery (and some surprises along the way) before beginning their ascent to the finish line. Course closes at 9:45 AM. That women needing breast assessment require prompt, accurate diagnosis and treatment of breast health problems. That women are empowered in decision making by receiving education and emotional support as they work through this process. That using the expertise of a multidisciplinary team will provide comprehensive care for women and their families. Awards will be given to the Top 3 finisher's in each age category. Awards will be unique pottery created by Bea Joevanazzo, a local artist. Bea's art work can be viewed at the Southern Alberta Art Gallery.